May 28, 2013 by Jordan D.M. Jump in and join a joyous mass of dancing Angelenos on summer Fridays between May and September on The Music Center Plaza. Beginner dance lessons, live bands/DJs spinning tunes, and warm summer nights make for a chance to meet, greet, move and groove. All of it free, no charge, gratis, every other Friday 6:30 to 10 PM. This Friday the 31st is devoted to the tango! Here’s the full schedule for the summer. A couple of the events have passed but there’s still a lot of dancing to be done. May 17 – 90s Night NEW! July 12 – K-Pop NEW! May 24, 2013 by Jordan D.M. “This collection of Peter Rainer’s film criticism spans the course of his illustrious thirty-year career, which dates back to the early 1980s. It is drawn from a wide range of publications, including the Christian Science Monitor, the Los Angeles Herald Examiner, Los Angeles magazine, the Los Angeles Times, New Times, and New York magazine, and is arranged thematically with chapters such as “Overrated, Underseen,” “Issues (Mostly Hot Button),” “Comedies (Intentional and Unintentional),” and “Literary and Theatrical Adaptations.” Rainer covers films both well-known and obscure and writes in depth about many film auteurs—Stanley Kubrick, Alfred Hitchcock, Steven Spielberg, the Coen brothers, Mike Leigh—and New Generation icons, such as Sofia Coppola and Paul Thomas Anderson. No film buff’s collection is complete without this comprehensive compilation that showcases the best work from a master contemporary film critic. The New York Times’ Manohla Dargis has a new dispatch from Cannes, and as usual she is utterly compelling in her analysis of the art and business of movies. Click here and you’ll find her piece along with a wealth of links to the New York Times’ coverage of the world’s most important film festival. Devourer of media (and world famous Oscar co-host) James Franco wasn’t satisfied just reading a book about video games while listening to Daft Punk in the lobby of our Music Hall 3 theater in Beverly Hills. No, he needed more and jumped right into a screening of LEVIATHAN… which he LOVED. While LEVIATHAN is no longer in L.A. theaters, we encourage you to add it to your Netflix queue. 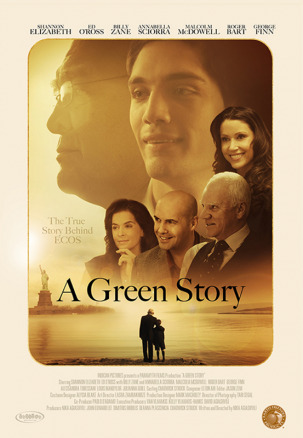 Select members of the cast and crew of A GREEN STORY will participate in Q&A’s at the Music Hall 3 following the 5pm show on Friday, May 25; after the 2:40pm show on Saturday, May 26; and following the 7:20pm show on Sunday, May 26. 3 GEEZERS! filmmaker Michelle Schumacher and actor J.K. Simmons will participate in a Q&A after the 7:40 PM screening at the Music Hall 3 in Beverly Hills on Wednesday, May 22. Follow actor J Kimball (Juno, Spider-Man, Up In the Air) as he researches what it’s like to be old for a role in an upcoming movie. 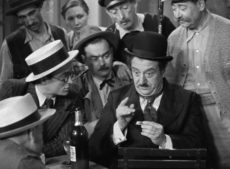 When he meets the residents at The Coconuts convalescent home, he quickly discovers that his perceptions of the elderly may be off from today’s reality. May 21, 2013 by Jordan D.M. The always lovely Butterfly Pavilion is open at the Natural History Museum in Exposition Park now through September 2. “and an array of plants take up residence every summer for our much-anticipated seasonal exhibit, the Butterfly Pavilion. Wander through a unique changing ecosystem, witness free-flying creatures interacting with plant life, and emerge with a better understanding of the environment needed for the survival of these spectacular animals. The Butterfly Pavilion showcases the fascinating dance between butterflies, moths, and the plants that surround them, an interaction that has been refined over the course of millions of years. See up close how butterflies use their tubular mouthparts to obtain nectar and witness caterpillars feed on leaves and go through the process of their transformation into adults. Various butterflies are present at different points during the season and the plants will grow and change. This means that each visit to the Butterfly Pavilion throughout the summer can be a different experience!